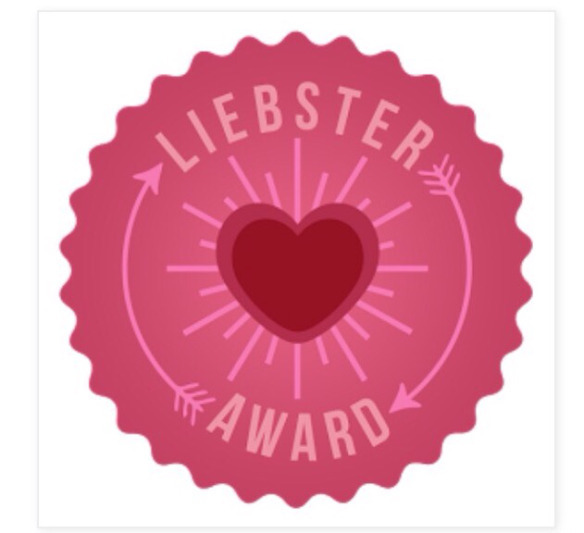 I was pleasantly surprised last weekend to find that I’d been nominated for the Liebester Award by my blogging pal Beth at Our Montessori Life. The Liebster is basically a chain letter that lets bloggers celebrate other bloggers, and it comes with a list of questions and the best part is, Kanye isn’t mad about it at all. How did you discover Montessori? I can’t actually remember the exact moment. At some point, I stumbled up and became immediately fascinated with the possibilities offered on How We Montessori, a lovely family and home-oriented blog by Kylie, the queen mother of all Montessori bloggers. What has been your greatest challenge with using Montessori? My greatest challenge has always been struggling with my own bad habits and shortcomings — I’m pretty disorganized and I tend to start projects and not finish them. For me, establishing a welcoming and orderly Montessori environment has been eye-opening in terms of realizing what my needs really are for a healthy, happy environment — as well as what’s best for my kid. It’s also been an on-going effort! It depends. I think some of our best-loved materials are things that we’ve created ourselves, and I’ve enjoyed making things for the coming babe, like a topponcino and this Gobbi mobile I’m working on this week. Especially during the younger years, there are many things that can be made or modified to work as Montessori materials. On the other hand, there are some materials that are just better purchased and that can’t really be made at home, especially as a child moves beyond the toddler years (I’m thinking here of something like the pink tower, which needs to be mathematically accurate). That said, I’m a big believer that Montessori is for everyone, and a peaceful environment, respectful speech and opportunities for independence are priceless and free. What’s your favourite Montessori book? My favourite Montessori book is The Tao of Montessori, which is a really beautiful compilation of Montessori quotes and thoughts connected with Lao-tzu’s verses from the Tao Te Ching. Because the chapters are so short and not meant to be read linearly, it’s a great resource to pick up any time, read for a few minutes, and return to the rest of life restored and inspired. Do you see any similarity in your children and yourself? Jasper and I both: love mornings, enjoy being social, like to play with paint, and tend to be somewhat easily distracted. My favourite thing about blogging is actually two-fold: one is having an outlet for the bits of inspiration that get me excited about the Montessori method and what’s happening for us and the other is being a part of a community of caring, intelligent, peaceful parents and teachers. What made you first decide to blog? I’m a writer in my non-mom life and so blogging isn’t new for me, but I wanted to work on a Montessori-specific blog in order to participate more fully in the online conversation that was taking place. I generally don’t find it too difficult to take time for myself, and here is my secret: I live two blocks away from my parents. I just finished a book and am about to start The Sculptor. The last book I read was The Royal Game by Stefan Zwieg, inspired by watching The Grand Budapest Hotel. And the very best book I’ve read this year has been Michael Crummey’s Sweetland. What is your favourite book your child owns? My favourite books are Blueberries for Sal and Over and Under the Snow. Jasper has shown occasional interest in both of these books, but neither has been a favourite. And sure. Why not. What would you do with a million dollars? I would pay my doula and buy new tires for the car and get a lot of massages and be thrilled to have both kids’ educations paid for (and my own!). It’s the little things. I’m so grateful to Beth for the shout-out and I’m also glad to have been made to slow down and think about these questions. I’d love to nominate my pal Leisse next, but she’s on a sweet vacation in Mexico and I don’t want anything adding to her to-do list, so please, go visit her blog anyway. Leisse is a trained Montessori educator and a great writer and so, so funny and had three kids under two for a while, so believe me when I say this lady knows what’s up. I have never seen “The Tao of Montessori” but I will find it and add it to my Wishlist.